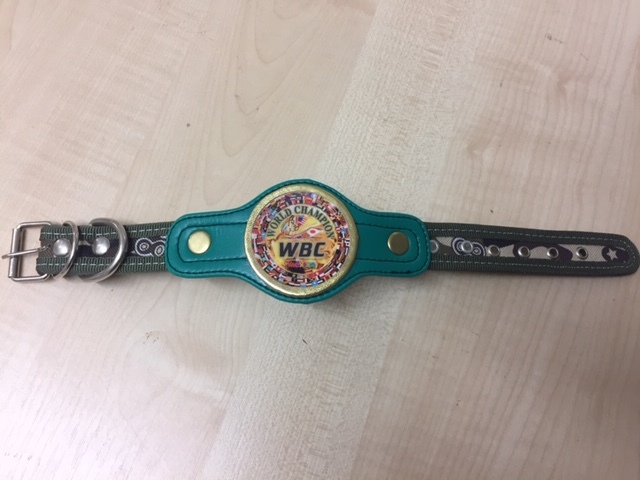 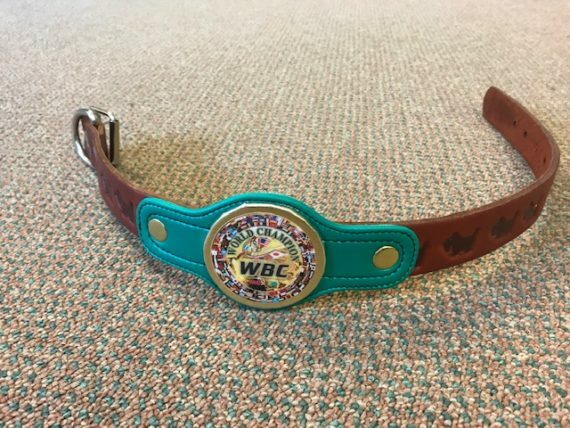 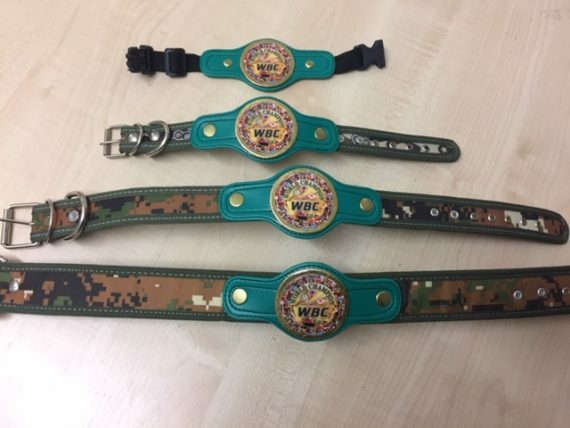 Famous WBC Championship belt is now available for your dog to enjoy. 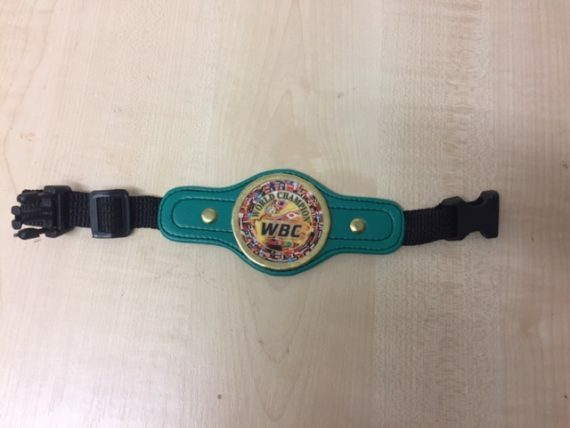 A must have accessory! 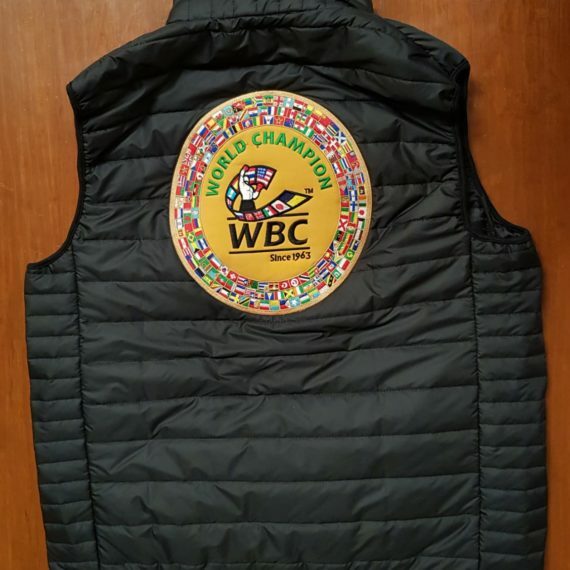 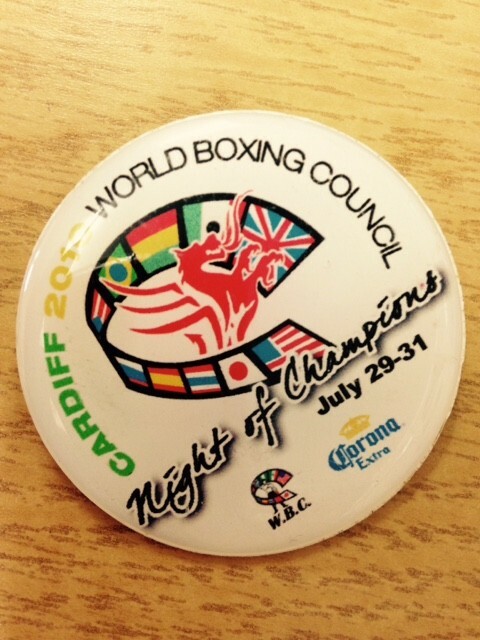 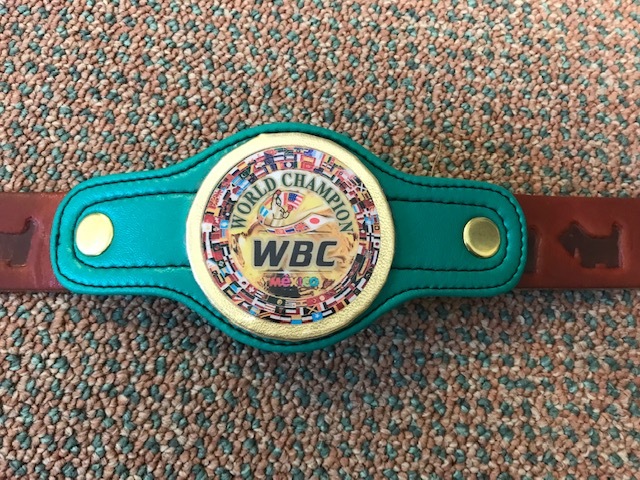 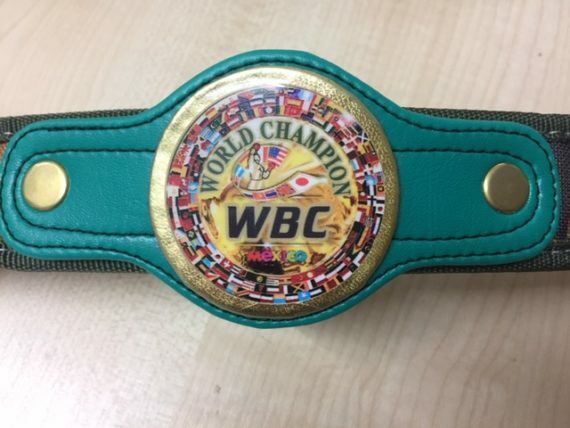 WBC Green and gold belt as the centre piece.